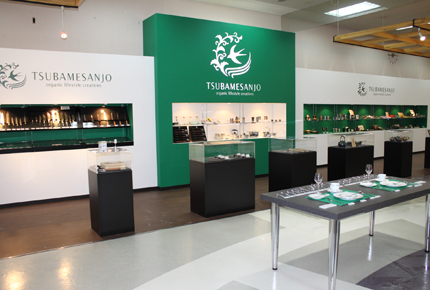 The TSUBAMESANJO Regional Products Store is a famous tourist shop where you can find plenty of products made in “Tsubame-Sanjo”, Japan’s No.1 metalware production area. A wide range of products, from produced made by traditional craftsmanship to those making full use of state-of-the-art technology. Displaying and selling about 10,000 items of cutlery, knives, kitchen tools, pots, pans, and others. Particularly, the Hand-Hammered metal craft manufactured by using a copper plate is extremely popular among customers from abroad. 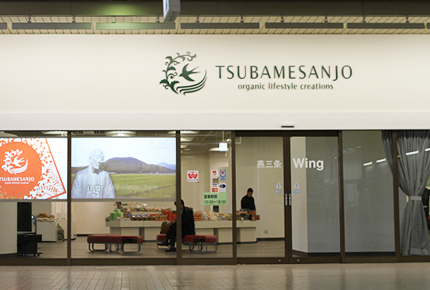 Located on the 2nd floor of the JR Tsubame-Sanjo train station concourse, TSUBAMESANJO Wing exhibits and sells mainly products created in Tsubame-Sanjo boasting the excellent design and high quality that could be obtained only in Tsubame-Sanjo. In addition, it is also available as a rest area and a place for businessmen negotiations, or simply as a room where you can wait for your train, so please feel free to use it. 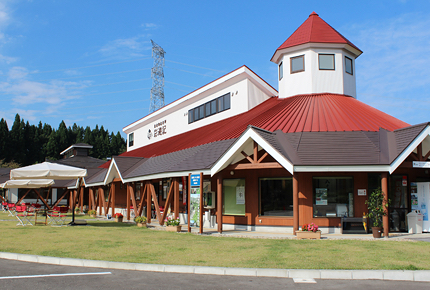 Fureai Park Kugami is a roadside station where to go to after that you enjoyed enough walking around historic sites of Ryokan and trekking on Mount Kugami. Please let the fatigue accumulated during the day melt away by buying souvenirs or using the hot waters of Temari-no-Yu and Shuten-Doji-no-Yu (foot baths). 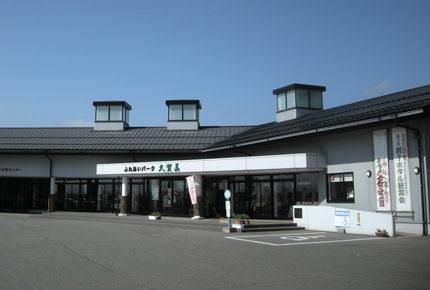 There is a foot bath free of charge where you can enjoy free-flowing hot-spring. The atmosphere also is excellent. Home of Chinese Studies Shitada is a popular roadside station appreciated as a place offering both cultural and culinary attractions since you can find the birthplace and Memorial Museum of Dr. Morohashi Tetsuji, who was the Chief Editor of the “Dai Kan-Wa Jiten”, a comprehensive dictionary of Kanji (Chinese characters), as well as the restaurant Teigetsuan Goku and the Farmer’s Market Saiyuki. There is also the Place of Scenic Beauty Yagigahana nearby and you can enjoy the beauty of nature in each season with fresh greenery and rosy lily in Spring, camping in Summer, wonderful colors in Autumn and white swans in Winter.